No more Enemy Aliens at Carlton - no Enemy German Beer! Ferdinand Carl Johann PAPE - from Hannover, married Elizabeth Phillis Carter 1891 Vic. Maximilian Christoph Jacob PAPE - born Prüßen (Prüssia), married Margaret Josephine CROSS 1893 Vic. Albert Wilhelm PAPENFUHS arrived at age 22 from the interim Port of London, England, on the ship "AVENGER" in the Port of Melbourne, Australia in about June 1885. He was born on the 3rd January 1863 at Steinnitz, Pomerania Prussia. In Australia he resided along the Murray River valley, first at Echuca, then Albury, Wagga Wagga and then Mildura. He was working as a labourer in Mildura, Victoria, when he Swore the Oath in his Aliens Memorial for Naturalisation in 9th April 1908. Hermann Robert PAPST - born Prüßen (Prüssia), married Mary Margt JEFFREY 1901 Vic. Wilhelm PEARCE / PEARZ - from Berlin. Married Agnes Mary Critchley 1900 Vic. Pastor Johann August Friedrich Wilhelm PETERS – born 1 January 1850 Nemitz, Pommern, Deutschland. Graduated Hermmansburg Free Church Seminary, Ülzen, Deutschland 1877. Served in Melbourne. Murtoa 1878-1904. Burrumbuttock 1904-919. Presidnt of Victoria and NSW Districts. Editor of Kirchenbote. Principal of Concordia College, Murtoa. On the 14th May 1880 Johann August Friedrich Wilhelm PETERS as married at age 30 to 22-year-old Emilie Albertine SUDHOLZ, daughter of Johnn Wilhelm Albrecht Sudholz, at the Lutheran Church, Adelaide, South Australia. Children: 1. Albrecht Ludwig Peters born 1881 Murtoa, Victoria; 2. Rudolph Carl Ernst Peters born 1883 Murtoa, Victoria; 3. Theodor Johannes Peters – born 1886 Murtoa, Victoria- died 1910 Camberwell at age 24; 4. Alma Bertha Cecaelie PETERS – born 1890 Murtoa, Victoria; 5. Walter Herbert Wilhelm PETERS – born 1902 Murtoa, Victoria; and 6. Gertrude Margaret Catherina Wilhelmine PETERS – born 1897 Murtoa, Victoria. Johann Wilhelm Peters Died 18 August 1925 in Camberwell, Boroondara, Melbourne, Victoria. His wife Albertine Emilie Peters survived him to die at age 73 in 1931 in Camberwell, Boroondara, Melbourne, Victoria. Wilhelm Conrad PETERS - from Bavaria, married Annie Elizabeth STEVENSON 1889 Vic. Otto August PFAFFLIN -son of August Otto & Lizette Pfafflin, was born on the 2nd April 1872 in the Baden Schwarzwald town of Lahr, in former Grand Duchy of Baden, now the State of Baden-Württemberg in Deutschland. Pfafflin emigrated out of Deutschland on the steamship "S.S.BELGIC" to arrive in Australia on the 2nd September 1885 at Port Jackson, Sydney, New South Wales. His parents were likely emigrated with him. His father died in Mosman in 1910 and his mother in St Leonards, NSW in 1920. Young Otto August Pfafflin was Married in 1902 to Dorothy CAMROUX in Mosman, NSW and by 1914 they had three sons, the fist two of whom were: August Carl Pfafflin b. 1903, and Philipp K Pfafflin b.1905, and one daughter, Dorothea H E Pfafflin b. 1909 in Mosman, NSW. Pfafflin was a Master Pastry Cook, living at No.68 Belmont Road, Mosman, NSW when he sore the Oath of his Aliens Memorial for Naturalisation on the 5th August 1914. August Otto Pfafflin's wife Dorothey die in Manly in 1940, and Pfafflin survived her to die in Manly in 1942. Aloysius PFALZER - born abt 1849 Tyrol, österreich. Farmer, Daly River, Northern Territory. Carl Friedrich Wilhelm PFAUTSCHE was born 7th August 1871 at Kuckenburg, Sachsen just after Saxony was incorporated into the Deutsch Reich. Residence: Marburg, Queensland, Australia. Oscar PFEIFFER was born on the 18th August 1892 at Schwäbisch Gmünd, in a Königreich Württemberg already incorporated as a Stadt in the the Deutsch Reich. Pfeiffer arrived in Australia at Port Adelaide on the 1st November 1910. On Disembarking went up to Balaklava, South Australian and then immigrated to Melbourne, Victoria. Labourer, Station Street, Camberwell, Melbourne. At the age of 21, after two and half year sin Australia Pfeiffer was naturalised 8th August 1914. Melbourne. Otto Carl Ulrich Wilhelm PFEIFFER was born on the 10th January 1874 at Ulm, in the old Königreich Württemberg by then recently incorporated as a Stadt in the Deutsch Reiche. He emigrated out of Deutschland on the steamship ' SALOMO ; to arrive in Austyralia at the Port of Melbourne on the 15th January 1898. On disembarkation Pfieffer went out to Korumburra in south Gippsland, and then up the King River Valley to Whitfield, before settling in in the Gippsland gateway town of Dandenong, where he set up us a town Butcher. Otto Pfeiffer was married to Lucy Olive BAILEY in 1902 in Victoria. There children were : Heinrich Wilhelm Pfeiffer b.1905 Korumburra; Franz Georg Pfeiffer b.1907 Footscray; Friedrich Edmond Pfeiffer b.1908 Yea; Carl Gotthilf Pfeiffer b.1909 Wangaratta; Bertha Ray Olive Pfeiffer b.1910 Dandenong; Bertha Ray Olive Pfeiffer b.1912 Korumburra. He was a butcher residing at Pickett street, Dandenong, Victoria, with his wife and five Australian children when he took the Oath of his Alien's Memorial for Naturalisation ahead of the coming declaration of War on the 17th March 1914. Two more children born after his Naturalisation were Edith Maria Pfeiffer b. 1914 Dandenong; and Rita Grace Pfeiffer, born 1917, Oakleigh, Victoria. Gustav Friedrich Adolph PFENNIGWERTH was born on the 1st February 1855 at Danzig, West Prüßen, Prüßen. He Emigrated by way of the interim refuge of England and there embarked on the ship 'NORTHUMBERLAND' to arrive in Australia at the Port of Melbourne on the 2nd December 1877. Upon disembarking Pfennigwerth immigrated immediatley on the coaster 'S.S. ALDINGA' to Adelaide, South Australia. He took up work as a Commercial Travellor. After 8 years in South Australia he went to Tasmania for 3 years and then crossed Bass Strait to Victoria again where he remained for 6 years. Pfennigwerth was married to Clara Anna SUMMERS in Australia. Their daughter Katherina Margarethe Pfennigwerth was born in South Melbourne in 1891. From Melbourne the Pfennigworths immigrated north to New South Wales. Pfennigwerth was living at No. 28 Dowling Street, Redfern, Sydney, New South Wales, married with a wife and three Australian sons when he took the Oath of his Alien's Memorial for Naturalisation on the 11th January 1904. Gustav A. F. Pfennigwerth, son of Eduard & Emilie Amelia Pfennigwerth, died in Paddington, Sydney in 1918. Emil PFRUNDER born Königsfeld, Kreis Schwarzwald-Baar, Grand Duchy of Baden, Germany. Founded in 1807, Königsfeld is a centre of the Moravian Church. Until after the Second World War, most of the town's inhabitants continued to be Moravians and the Vorsteher (Congregational business manager) of the Congregation also served as de facto Mayor of the town. Pfrunder was married to Alwina Adeline Karoline Wilhelmine KOEHLER in 1895 in Victoria. - Naturalised 1896. Children : Ellen Marie Pfrunder (1896-1896) Collingwood ; and Alma Henriette Pfrunder b.1897 Collingwood. Adeline Wilhelmine Karoline Koehler Pfrunder died at at age 25 in Collingwood in 1897. Emil Pfrunder remarried in Victoria in 1905 to Nunawading-born Emilie Theresia Kleinert. Emil Pfrunder died in 1932 in Hamilton, Newcastle, New South Wales. His second wife survived him to die din 1959 in Newcastle, NSW. Johannes Adolph PFRUNDER was born on the 27th September 1859 in Königsfeld, Grand Duchy of Baden, Deutschland. Pfrunder emigrated out of Deutschland at the Port of Hamburg on the ship 'LA ROCHELLE' and arrived in Australia at the Port of Melbourne on the 15th January 1880. Upon disembarking Pfrunder went up to Nhill, in the Wimmera of Victoria for fifteen years. He was married to Laurentina Auguste Friedericke Bertha KOEHLER in 1885 in Victoria. Their children born in Victoria were: Rudolph Hermann Pfrunder 1886 Nhill; Adolph Edwin Pfrunder 1888 Nhill; Sylvia Olga Selma Pfrunder b.190o Nhill; and Valeria Hilda Pfrunder b.1902 Netherby, Victoria. From the Wimmera Pfrunder immigrated to Wagga Wagga, New South Wales, and there was there five years before shifting out to Grong Grong. Johannes Adolph Pfrunder had been five years a farmer at 'Baden' Grong Grong, New South Wales, when he took the Oath of his Aliens Memorial to be Naturalised at Narrandera on the the 3rd of July 1905. He was then married with two sons and five Australian daughters, the last being Clara Friedericke Pfrunder b.1900 at Wagga Wagga. A daughter born after that date was Vera Olive Pfrunder b.1906 Narrandera, NSW. Johannes Adolph Pfrunder died in Ardlethan, in the Riverina of New south Wales in 1947. His wife had died in nearby Coolamon, the previous year. Phillip PHILIPPSTEIN - from Hannover, married Miriam DAVIS 1892 Vic. Albert Heinrich Wilhelm PIECK Swore the Oath in his Aliens Memorial for Naturalisation in Australia on 14th December 1909 in Martin Street, Sydney, NSW. He was a merchant nu occupation, and he arrived in Australia on the 12th January 1892 on the steam ship 'BARMEN" at the Port of Adelaide, South Australia from his native Hamburg where he was born on 26 Oktober 1868. August Albert PIKROT - born Prüßen (Prüssia), married Louise SCHAFER 1889 Vic. Richard A. PILCHOWSKI - born 1869 Germany, - Drover at Boroloola, Northern Territory 1901 age 32. Johann Hermann PINSCH/PINCH - born Prüßen (Prüssia), married Annie BURRETT 1891 Vic. Carl Ludwig PINSCHOF, Austrian Consul, was born 14th April 1850 in Vienna, lower Austria in the Österreich. He emigrated out of the Österreich by way of Deutschland on the H.S.M. ship "HELGOLAND" to arrive in Australia at Port Jackson, Sydney, N.S.W. on the 17th September 1879. On Disembarking Pinschof stayed for six months in Sydney, and then immigrated the South Australia. He was in Adelaide for his six months and then trans-shipped to Melbourne where he was for the next twenty eight years. He was married in Australia and had three Australian daughters. He also travelled in Europe for six months during that time. At the age of 54, after 29 years in Australia, Pinschof was a Merchant residing at 'Studley Hall' Studley Park, Kew, Victoria, when he swore the Oath to be Naturalised in his Alien's Memorial of the 21st April 1909 at Melbourne. His wife, Elise Pinschoff, born in 1851 in Vienna, had arrived in Australia at the Port of Melbourne in the ship "R.M.S. ASSAM" from Austria on the 19th August 1883. Carl Friedrich PITSCHNER - from Hannover, married Alice BOGG 1894 Vic. Otto PLÄRRE was a master pastrycook, born on the 16th November 1882 at Hohenölsen, near Weida, on the Reuss-Line in Thuringia, to the south of Leipzig in Deutschland. He spent his two first year in Australia in Carlton. He declared his Aliens Memorial for Naturalisation from 26A Puckle street, Moonie Ponds on the 10th April 1913 after four years in the State of Victoria, having arrived in the Port of Melbourne on the 20th May 1909 on the ship "S.S.NARRUNG' from England. He pioneered a fine Continental bakery in Moonee Ponds, which later opened branches in various suburbs of Melbourne. Ferguson-Plarre Bakery shops were still in existence in Coburg and Moonie Ponds in the 21st Century. PLÄRRE married Elisabeth Martha Anna GABSCH in 1912 and their children were born at Moonee Ponds through the wartime: Frieda Else 1913, Raymond Otto 1915, and Valda Ida PLÄRRE, 1920. Later, in about 1939, his son Raymond Otto Plarre did enlist at Moonee Ponds to serve in the Australian Armed forces during World War Two. Fritz 'Frederick' PLUME was born September 1837 in Lulao Provinz, Sweden. He lived at Swedish settlements on the Baltic coasts.- Plume made his way from Teutonic land to England and embarked from there on the ship "SINGAPORE" arriving in Sydney, New South Wales in September 1876. On disembarking Fritz Plume immigrated to South Australia where he resided in Adelaide for three years before returning to the New South Wales borders to settle on teh Murray River at Mildura in Victoria. He took a farming block which he worked as a Horticulturalist. He took his Aliens Memorial to be Naturalised there on the 18th February 1907. He had then been in Australia for 31 years. Johann August PLUMEIER - from Hannover, married Theresa Catherine O'KEEFE 1895 Vic. Franz Heinrich POHL was born 25th September in 1838 in the village of Templefeld, Schlesien, Prüßen (Silesia, Prussia). He emigrated from Deutschland on the ship "S.S.CATANIA" to arrive in Australia at the Port of Melbourne, Victoria on the 26th January 1882. He then spent three years in Melbourne, then wandered through various places in New South Wales for eighteen years, various places in South Australia for nine months, then for three years in various places in Queensland till 1907. You might guess that he remained unmarried. After 24 & 3/4 years in Australia, the age of 48 years, while working as a miner, at the town of Chillagoe, on the Atherton Tableland, Queensland on 13th October 1907 he made the Oath for his Aliens Memorial for Naturalisation. Oscar Reinhold Leopoldt POHL married twice in Victoria, Australia, First in 1887 to Emma Berth Clara Hermine HEYBER and again after he was widowed, in 1909 to Helene Pauline Bertha WEGENER. - He took the Oath for his Aliens Memorial for Naturalisation in Victoria in 1894. Bartholdt Didrich Wilhelm PONNINGHAUS & wife Anna Margarette ARNST had tow children: Victor Melbourne Ponninghaus, born 1906 South Yarra, and Hermann Richard Arnst Ponninghaus b.1912 South Yarra, Victoria. In 1912 Bartholdt Didrich Wilhelm PONNINGHAUS took out Australia Patent Registration for an improved Oven Tray, Class A.
Carl Heinrich PREUSS Naturalised 1895 South Australia. He died 1927 at age 80 years, in Horsham, Victoria, Australia. Carl Heinrich PREUSS was Married to Elise HARNATH. Children: Heinrich Alfred Preuss died @ 68 in 1855 Wimmera; Therese Philippine Belleville died @ 35 in 1839 Flemington, Vic; Ida Hilda Zachau , died @ 42 in 1942 Horsham; Philipp Reinhold Preuss d. @ 77 in 1961 Horsham; Emma Augusta Wagner died @ 49 in 1926 Horsham; Carl Heinrich Wilhelm Preuss died @ 63 in 1942 Horsham. Ernst Otto PREUSS, son of Julius PREUSS & Helene WEBBE, died 1937 North Melbourne, Victoria, at age 55. Maximilian Adolph Eduard Richard PREUSS - b. Neutsadt, Eberswalde - Licensed Victualler, Adelaide SA- Arrived Australia in 1878. naturalised 9th March 1899 in Adelaide SA after 21 years in Australia. Aged 42. Otto Heinrich Julius PREUSS, son of Karl PREUSS & Dorothea WIRTH, was born in about 1845 at Neusalz, on the Oder River, in Schlesien, (Silesia) Prussia. Neusalz is now called Nowa Sól, Lubusz Voivodeship, western Poland. Otto Preuss was a Tischler (Cabinetmaker-Joiner) and like many a Prussian in that trade, turned his hand to coffins and so to being an Undertaker. Preuss emigrated out of Deutschland by way of the Atlantic crossing to America and ended his sojourn there in California. He was married to Mathilde GOEDEKE,(1858-1920) daughter of Heinrich Godeke & Conradian Crome and their eldest children were likely born in the US of America. The Preuss family emigrated from the Port of San Francisco, California on the vessel "AUSTRALASIA" and Arrivied in Australia at the Port of Sydney, NSW, on the 29th April 1877. Otto PREUSS had a well known Undertakers Parlour in Burwood ROad, Hawthorn. Children: 1. Eduard Otto PREUSS 1882- Hawthorn – 1950 Glenferrie [m. 1907 Clara May McGEE d. 1949 Hawthorn]; 2. Robert Wilhelm PREUSS b.1884 – Hawthorn; 3. Maria Ada/Ida May PREUSS b.1885 - Hawthorn [MrsFURSTE}– 1973 Frankston; 4. Heinrich Carl PREUSS b.1887 Hawthorn [Jessie Hannah Grace PENDLEBURY m. 1908]; 5. Emilie Hilde PREUSS 1890 Hawthorn -1969 Croydon [Charles Coris ARMSTRONG m. 1907- later Mrs SCOTT]; 6. Edwin Oscar PREUSS, b. 1893 Hawthorn – 1947 Sth Melbourne. At the age of 47, after 17 years in Australia Otto Preuss took the Oath of his Aliens Memorial for Naturalisation, when employed in business as an Undertaker at Burwood Road, Hawthorn, in Boroondara, Melbourne, Victoria on the 16th July 1894. Mathilde PREUSS died at age 62 in 1920 in Hawthorn, Victoria. Otto PREUSS survived her to die at age 76 in 1923 in the same place. 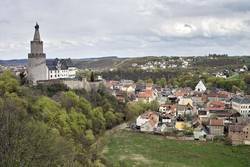 Hermann PRINGLE : - The Village of Stäbelow, souwest of Rostock, in the Grand Duchy of Mecklenburg-Schwerin was birthplace to Hermann Pringle on the 19th day of September 1869, hardly a year before the declaration which swept old Mecklenburg in the Unification and the rule of the Deutsche Reich. He was a hairdresser by profession and emigrated with his skills on the ship 'SOLINGEN" disembarked at Port Melbourne on the 17th April 1890 after a voyage from Hamburgh. After arriving in Australia he lived for four years in Melbourne, then at Solgeu? for 4 years, Mansfield 2 years, Bairnsdale one year, Albury for 3 years, and he been in Bruthen for five years. At age 40, after 20 years in Australia, he swore his oath for the Aliens Memorial for Naturalisation when livingng his own Barber's Saloon and Fancy Goods shop in Bruthen, East Gippsland, Victoria, on the 20th October 1909. He married the following year to Elsie Mary Crawford. Subsequently he lost his memorial certificate in a fire which burnt down his shop and saloon in Bruthen on the 5th August 1914, and he made a Statutary Declaration to obtain a copy of the lost original before a Justice of the Peace in Bruthen whose name is Crawford, the same as that of his wife. Gustav PUBANC was born 15th November 1893 at Warsaw, under Russian Poland. Purbanc emigrated out of Europe on the German steamship "ROSTOCK" to arrive in Australia on the 17th November 1913 at the Port of Melbourne, Victoria. Upon disembarking he went east of Melbourne and lived and worked on farms at Bayswater (Scoresby North)for 21 months, and was then at Ferntree Gully for three months Pubanc was registered as an Alien at Ferntree Gully, Victoria on the 26th October 1916. (FTG Certificate 5). He then went up the line to the Upper Murray Riverina district, near Albury, at Walla Walla, New South Wales. He finally managed to take the Oath and become Naturalised in his Aliens Petition of 9th February 1923 at Walla Walla NSW, where he worked for Mr H G Wenke. Berend Diederich PUCKHABER died in Perth< western Australia in 1923 (as Beerund D Puckhober). Albert Franzis PUDIG was born at Neuenberg, kreis Greisson, Schetz, Deutschland on the 31st Marz 1882. Albert Franzis PUDIG emigrated out of teh Deutsch Reich by way of teh interim hub of refuge and freedom in Great Britain and embarked at the Por tof London on the Orient Liner "OSTERLEY" to arrive in Australia at the Port of Melbourne on the 2nd of January 1911. Upon disembarking Pudig went up to Clifton Hill on top of Collingwood for nine months and afterwards immigrated to Sydney, NSW where he lived at crown street, working as a Hair Specialist as distinct from a barber. He too the Oath of his Aliens Memorial as a married man and was naturalied on the 17th august 1914. He was then living at No.17 Hunter street, Sydney NSW. 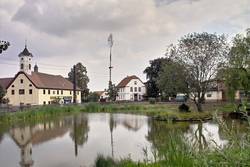 Hermann Friedrich PUMP was born abt 1875 at Ütersen, Ahrenlohe, near Pinneberg, Holstein, Schleswig-Holstein. Hermann Pump emigrated out of the Deutsch Reich on the ship "HABSBURG" arrived in Melbourne in October 1890. He was married to Luise Charlotte ZERBE in 1899 in Doncaster Victoria. Their children were: - 1. Alma Luise PUMP b. 1901 Ringwood [Mrs Herbert Samuel BEAVIS m.1925]: 2. Dorothea Doris PUMP, 1902 Doncaster [Mrs Waldron Trevenen JOHNSTON m.1925]; 3. Eleonore Maria PUMP b.1903 Ringwood [Mrs Joshua Thomas CROFT m. 1927]; 4. Ida Margareta PUMP b.1905 Ringwood; 5. Wilfred Hermann PUMP b.1907 Ringwood [m.1934 Lilliam Elsie CACHETT]; 6. Linda Emma PUMP b.1909 Doncaster; 7. Bertha PUMP b.1912 Doncaster. Louise Charlotte Zerbe PUMP died at age 63 in 1937 in Ringwood. Hermann Friedrich PUMP died at age 79 in 1954 at Heathmont, nr Ringwood, Victoria. Johann PUMP was born on the 17th August 1867 at Ütersen, near Pinneberg, Holstein, Schleswig-Holstein, Deutschland. Pump emigrated out of the Deutsch Reich, on the steamship "KAISER WILHELM" arriving in Australia at the Port of Melbourne on the 15th November 1889. Johann PUMP was married to Doncaster-born Caroline Johanne AUMANN in 1900in Victoria. After 23 years in Australia, at the age of 45 he was working as a self-employed Oarhardist at Canterbury Road, South Ringwood, Victoria, when he Swore the Oath and was Naturalised in his Aliens Memorial of 8th May 1913 at Ringwood. Paul Friedrich J. PUPPEL was born 1884 at Swinemünde, Pommern (Pomerania), Prussia by the part of the greater Deutsch Reich. Swinemünde is since 1945 Świnoujście, on the Baltic Coast at the very western borders of Poland. - Her Arribed in Australia in 1904 at Newcastle, NSW, Nat.1908 Newcastle, as a seaman, Paul Friedrich PUPPEL was married to Pauline C JUNGHERR (YUNGHERR) at Kurri Kurri NSW in 1910. He died at Hamilton, New South Wales in 1967. Anton PUPETER was born on the 4th April 1888 at Wagscheid, Passau district, Bayern (right near the Austrian borders of Bavaria) in the Deutsch Reich. He Emigrated to Arrive in Australia per the steamship "S.S.SORG" on the 30th June 1910 at Port Adelaide SA. Res: Sth Aust 14 months then >to Victoria for 7 months, and then > Broken Hill, NSW 15 months by 1913. After 3 yrs in Australia at the age of25 years he was Naturalised @ Broken Hill on the 23 Sept 1913 Single, Miner, living at Beryl Street, off Oxide Street, Broken Hill, N.S.W. Anton PUPETER died at age 80 on the 16th February 1957 in Adelaide, SA. Karl Charles PURNER was born on Christmas Day 1867 at Oberndorf, Salzburg, in Provinz Salzburg, Österreich (Habsburg Austro-Hungarian Empire). Purner emigrated by way of Vienna and Deutschland where he embarked on the steamship "S.S.OLDENBURG" to arrive in Australia at Port Jackson, Sydney, NSW on the 20th August 1894. After 11 years in Australia, at the age of 38 and single, Purner was working as a Labourer at Terrible valley, Kentucky, in New England, New South Wales when he swore the Oath and was naturalised in his aliens memoral of 11th December 19o5 before Mr F H Woods, Justice of the Peace of Uralla, NSW. Pierre Francois DE PURY b. 1858 Neuchatel, Switzerland, Arrived about New Year 1886. naturalised at age 28, afte r9 months in Australia at Adelaide, South Australia on the 29th September 1886. Gentleman. Hi Wayne, just wondering if you have an email address ? My grand mothers mum was a De Pury, daughter of Pierre De Pury.